Bio: Sophie Maríñez is Assistant Professor of French and Spanish at Borough of Manhattan Community College, City University of New York. She holds a Ph.D. in French from The Graduate Center, CUNY (2010), and an M.A. in Liberal Studies with a focus on Dominican-American Identity and Literature from Empire State College, SUNY (2003). Her research interests include early modern French literature; French Caribbean studies; Haitian-Dominican relations; and Haitian and Dominican Diasporas in the U.S. Her current project focuses on the French Caribbean and the dynamics between Haiti and the Dominican Republic. Her first book, Mademoiselle de Montpensier: Writings, Châteaux, and Female Self-Construction in Early Modern France (Leiden: Brill, 2017), is an NEH-funded monograph on women who used their writings, and chateaux to convey their social and political identities. Prior to being in academia, she worked as a translator, a journalist and, a cultural attaché at the Embassy of the Dominican Republic in Mexico. Bio: Kafui Attoh, Assistant Professor of Urban Studies at the Joseph S. Murphy Institute for Worker Education, received his PhD in Geography from Syracuse University. His broad interests are in the political economy of cities, the politics of public space and debates in and around the idea of the “right to the city.” More narrowly, Kafui’s research has focused on three areas: 1) urban transit’s role within the political economy of cities, 2) the struggles and livelihoods of the transportation disadvantaged and 3) the role of urban social movements (including the labor movement) in shaping mass transit policy. Currently he is working on a project focused on the impact of TNCs (Transportation Network Companies) on the public life of cities. His work has appeared in Progress in Human Geography, New Labor Forum, The Journal of Cultural Geography, The Geographical Bulletin, ACME: An International E-Journal for Critical Geographies, Urban Studies, Antipode and Space and Polity. Bio: Matthew Lau is assistant professor of English at Queensborough Community College of the City University of New York. His writings have appeared in Comparative Literature, The International Journal of the Kafka Society of America, Lana Turner, and on the website Lacan.com. He is researching a biographical project on Stephen Jay Gould. Bio: Lori D. Ungemah received her Doctorate of Education from Teachers College, Columbia University in International Education Development with a focus on Curriculum and Teaching. She taught in Title I secondary schools in Brooklyn for a eleven years before becoming an English professor and founding faculty member at Stella and Charles Guttman Community College. Her research explores how curriculum includes or excludes various groups of students in a multiethnic urban high school through the voices of students and teachers. Professor Ungemah is interested in issues related to curriculum development, cultural relevance and sustainability, and urban education. For this year’s CPCP fellowship, she is exploring how a first year ethnographic research course on education sparks a critical consciousness in community college students. Additional academic and personal interests include creativity in curriculum, concepts of college readiness, participatory action research, young adult literature and urban fiction. 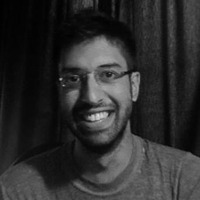 Bio: Hector Agredano is a doctoral candidate in the department of Earth and Environmental Sciences. His research explores the development of rail infrastructures in Mexico in the early 20th century and their use by railroad workers and revolutionaries during the Mexican Revolution 1910-1914. Bio: Brian Jones is a doctoral candidate in Urban Education at the CUNY Graduate Center. He studies black people’s educational struggles, past and present. Brian has contributed to several books, most recently What’s Race Got To Do With It? How Current School Reform Policy Maintains Racial and Economic Inequality (Peter Lang, 2015). He is currently writing about a student uprising at Tuskegee University in the late 1960s. Bio: Annie Spencer is a doctoral candidate in Earth and Environmental Sciences at the CUNY Graduate Center where she studies economic geography. She is writing a dissertation on the present-day heroin crisis in the United States in the context of post-industrial economic restructuring. Spencer holds an M.A. in International Trade, Investment and Development Policy from the George Washington University’s Elliott School of International Affairs and has taught undergraduate and MA-level courses in economics, economic geography, and cultural studies at Bates College, the University of Southern Maine, and Hunter College, CUNY. Spencer was a doctoral fellow with the Grad Center’s Mellon Committee for Globalization and Social Change is a recipient of the Graduate Center’s 2016-2017 dissertation award in American Studies. 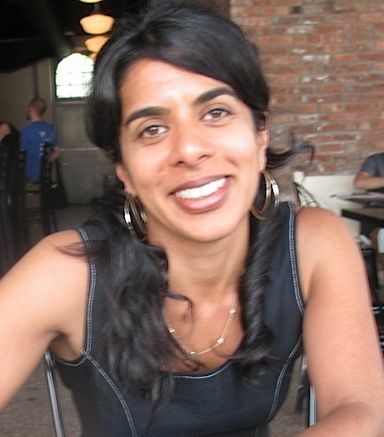 Bio: Ujju Aggarwal is a cultural anthropologist and a Spencer Foundation/National Academy of Education Postdoctoral Fellow. Her research engages questions related to urban education and social reproduction, Black freedom struggles, critical race theory, neoliberalism, raced and classed motherhood and the politics of care, and placemaking and urban space. She has helped build organizations and that address educational justice, violence against women, and health and reproductive justice as well as projects that focus on the intersection of arts and social justice, popular education, and adult literacy. She has taught at Sarah Lawrence College, The New School, Hunter College, and the Educational Opportunities Center (SUNY). Her research has been published in edited volumes as well as scholarly journals including Transforming Anthropology, Scholar & Feminist Online, and Educational Policy. She is completing her manuscript, The Color of Choice: Race, Rights, and Inequality in Education. Bio: Kubra Hidiroglu Alarcin received her MA from Uludag University, department of sociology (2012). 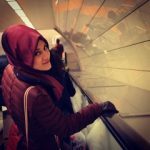 Her thesis was entitled “Diaspora Studies in Sociology: Visions, Theories and Concepts.” And now she is a PhD candidate at the department of Sociology at the Istanbul University, Turkey. Her work focuses on “Turkey’s Position on International Migration Flows and the Problem of Permanent Residence of Refugees.” She is currently a visiting scholar at Cuny’s Center for Place, Culture and Politics. While at Cuny, her research focuses generally on migration, refugees, social conflicts between immigrant groups, interaction between host communities and migrants. 2014. “On the Concept of Diaspora”,Interdisciplinary Perspectives On Social Sciences, Cambridge Scholars Publishing, pp.173-179. Bio: John Ehrenreich is Professor of Psychology (formerly Professor of American Studies) at the State University of New York – Old Westbury. He has written extensively on American social policy and social structure. His books include The Altruistic Imagination: A History of Social Work and Social Policy in the United States; The Cultural Crisis of Modern Medicine (edited); and The American Health Empire: Power, Profits, and Politics (with Barbara Ehrenreich and the Staff of Health PAC). His new book, Third Wave Capitalism: How Money, Power, and the Pursuit of Self-Interest have Imperiled the American Dream, is published by Cornell University Press. Bio: PhD student in Leisure and Societies at Federal University of Minas Gerais, Brazil, Master in Direction of Leisure Projects at University of Deusto, Spain and degree in Administration at University of Buenos Aires (UBA). Since October 2010, member of the Urban Management and Cultural Policy of City Forum of the European Network of Cultural Administration Training Centers (ENCATC). Since April 2014, participates in the research group OTIUM and LUCE at Federal University of Minas Gerais. Has participated in many conferences all over the world: United Kingdom, Turkey, Spain, Brussels, Argentina and Brazil. As a writer I have published two books, first in Spanish and then in Portuguese. One is a nouvelle “Carne de canhão” and the second, is poem book, “Minha vida é um limão, por favor devolvam meu dinheiro!” Since May 2015 I had a column of Brazilian contemporary literature for La Capital Journal from Argentina.